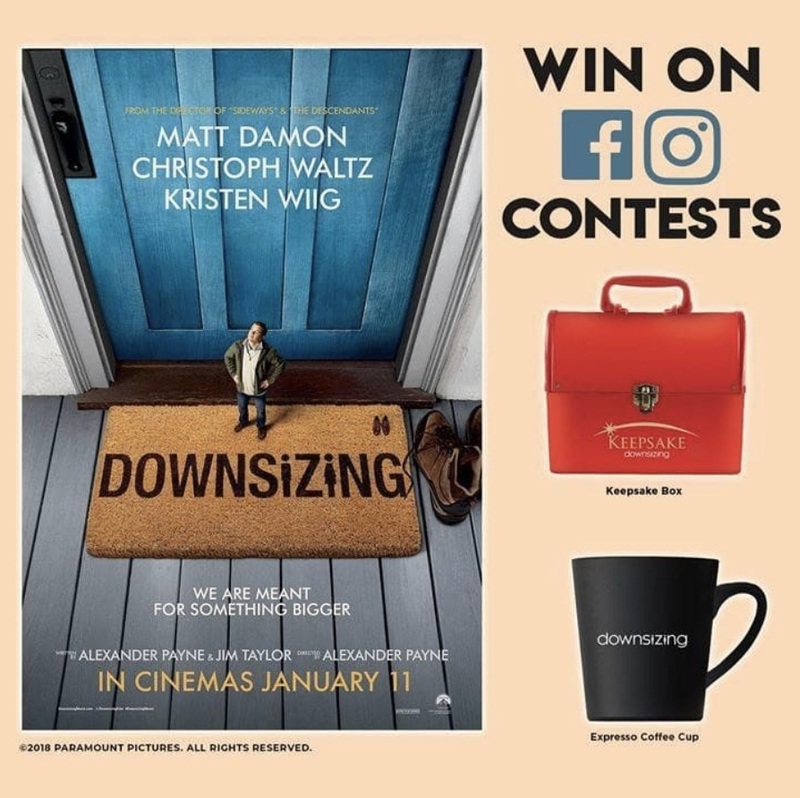 Stand to win awesome DOWNSIZING movie collectibles (KeepSake Box, Espresso Coffee Cup) by taking part in the Cathay Cineplexes Downsizing Movie Contest. Contest ends on 11 January 2018. Question: True or False. Downsizing is the permanent and irreversible procedure of a person being shrunk to 5 inches tall.